In 2017, while working at NET Nebraska (the statewide PBS/NPR station) I created The PlainStory, a podcast exploring the people, places, culture, history and life in the Heartland. Stories ranged from revived local theaters to archeological digs to Nebraska's unique habitats to the state's deep roots of agriculture and storytelling. Listen to a sample episode below, and find the full series here. This podcast took second place in the 2017 PRNDI Awards. While working on the Platte Basin Timelapse project, I led the creation of two in-depth, multimedia projects exploring a major watershed in the Great Plains, the Platte River. I served as reporter, writer, editor and project manager of both projects linked below. This interactive, three-chapter multimedia piece follows the journey of a snowflake from the high reaches of the Colorado Rockies through Wyoming’s network of dams and reservoirs to irrigated fields in western Nebraska. This interactive multimedia piece explores the evolution of land use, human history, endangered species management and conservation work along Nebraska's central Platte Valley. It contains more than a dozen stories including maps, photos, audio, videos, and interactives. We all live in a watershed, a region defined by water. This unifies us more than we may realize. 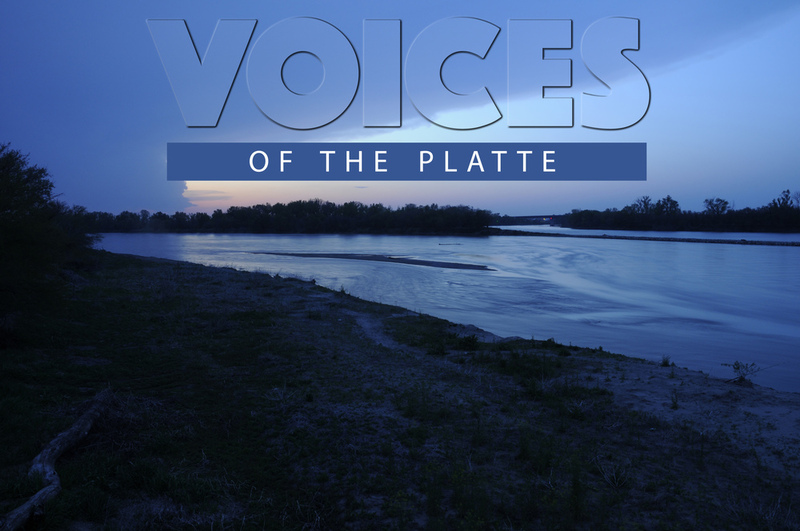 In 2015, I created this series in collaboration with Platte Basin Timelapse and NET Radio’s Humanities Desk to look closely at how water shapes landscapes and lives on the Great Plains through the voices of people who live here. These audio essays were broadcast on NET Radio and published on the Platte Basin Timelapse project website. Read excerpts from the essays below. Find the entire series here.